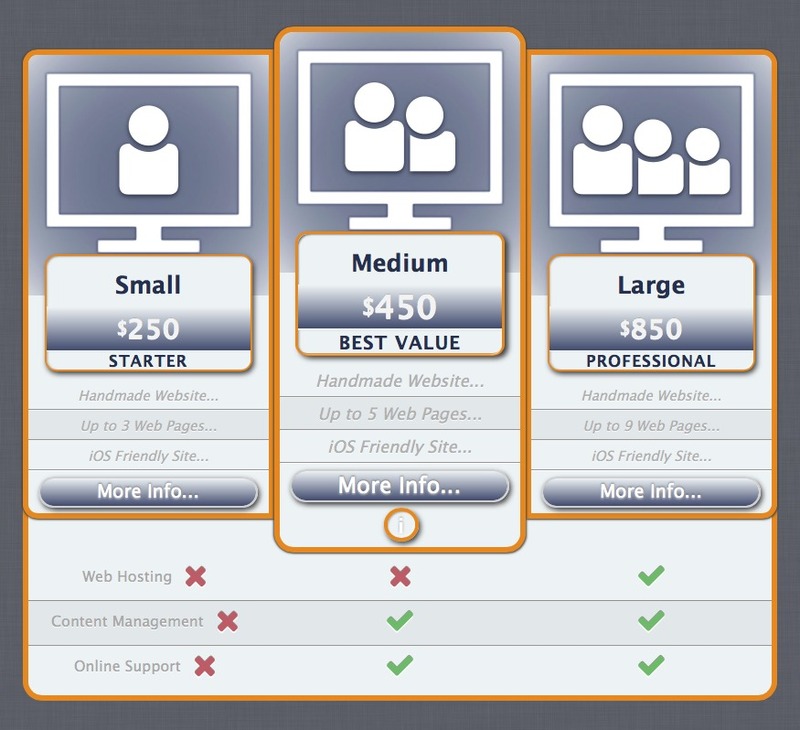 RapidWeaver stack; showcases your products and service offerings. Is there a better alternative to Marquee? Is Marquee really the best app in HTML category? Will Marquee work good on macOS 10.13.4? Marquee allows you to easily create a professional panel layout of your product & service offerings. Create up to five panels with custom areas for Title, Currency, Price, your Tagline, a Signup Button, a custom list of all your Features and a sliding Info Panel with Font Awesome icon support. You can highlight one panel to showcase that offering. Marquee is ready for Stacks 2+ and supports RapidWeaver versions 5/6/7. Marquee needs a review. Be the first to review this app and get the discussion started! Marquee needs a rating. Be the first to rate this app and get the discussion started!